For efficient growth, it’s important to always think about where you want to go in the long term as opposed to solving only for the short term. You need to lay a stable foundation for your business by focusing on gaining an in-depth understanding of your goals, your audience and your processes. How? Here are our top five strategies for growing your SaaS business quickly and efficiently. 1. Create a Positive Experience for the Customer. Every business should exist primarily to solve a challenge for a given market. The main purpose of a business is not to make money. On the contrary, revenue is the output of solving that challenge. If you solve the challenge well and have a solid business model supporting your solution, you will ideally get money. Focusing on your customers will go a long way toward achieving that. To create a more positive experience for your customer, conduct research upfront to understand your target market, their current challenges and the solutions you can offer for overcoming those challenges. Then build a product and an experience to address those challenges. The product you’re selling and the experience you provide for customers are separate but highly related. People don’t just buy a product because it solves a challenge; they purchase a product because of the experience provided throughout the entire process from marketing and sales to actually using the product. There’s an old adage: “People buy from people they like.” The sales process and the experience your sales reps provide matters. The same is true once prospects become customers. People will stay with companies that provide good experiences. Understanding the experiences your customers have will go a long way toward delighting, retaining and evangelizing them. You want to create such a great experience for your customers that they’ll tell other people about it and bring more customers to you. 2. Create a Story Behind Your Brand. The story behind your brand influences the way people connect with you. A brand is one thing that cannot be replicated by any other company. You can build a great product and a great customer experience — but so can your competitors. They can create the same product and experience, but they cannot recreate the story you tell that fosters a deep connection with your brand. Drift has a great example of a company with a resonant brand story. Drift’s story is that they wanted to create a new human-to-human method for interacting with businesses. They recognized that the way marketing and sales teams were connecting with their target prospects online was a broken, ineffective system. It was long and convoluted. They identified the challenge in the market, the ways in which their product would address it and their process for building a customer experience that truly stood out. Then, they also created the story behind their brand explaining why they wanted to do what they do. Their entire web presence is built around the human-to-human interaction at the heart of their story. Their website is full of the faces of their actual employees, offering a look inside the company to site visitors. The videos on their social platforms allow people to connect a name with a face and voice and really feel like they’re getting to know Drift’s employees. 3. Build a Marketing and Sales Foundation. If you break things to the point where it breaks the business, that’s obviously terrible. But if you have the right foundation in place, you can move fast, make quick decisions and grow your business without worrying about the ramifications it can have on the way you’re marketing and selling to your ideal prospects. That foundation typically includes a website, marketing automation tools, a CRM and a reporting and analytics tool if your other tools don’t provide sufficient insight. Setting these tools up for scalability and efficiency will facilitate your business’s growth. Additionally, depending on the size of your team, it might be beneficial to have your platforms set up in a user-friendly way that enables other members of your team to directly make changes without hurting the existing processes. That’ll decrease on-boarding time and remove bottlenecks. Having only one person who’s able to update a website or marketing automation platform can prevent changes from being implemented as quickly as they need to. If you want to try out something new and different, having access to your platforms from different angles is super valuable. Your foundation also enables you to market at scale: you can set up email marketing campaigns that reach your entire database on a regular basis. You can stay up to date with them, make sure they’re continuously returning to your website to engage with your content and educating them over time to eventually nurture them to a point where they’re ready to purchase your product. Furthermore, while having systems in place to run your marketing efforts helpful, having a tool to measure their performance is critical for improvements. Without reporting and analytics tools, you won’t know what to test, measure or optimize. Setting something up, letting it run and seeing it work for your company is always positive, but there’s usually room for improvement. Many of the measurement systems you put in place are in order to gain a better understanding of the experiences you’re building for your customers. You’re examining the same area of the funnel through a different lens, which might change how you work to address that area. Instead of calling more people or increasing your output, you might try to make that output better for prospects at that stage. Thinking about your optimization through the lens of customer experience can also be applied beyond the marketing funnel to the renewal and retention processes. Ideally, measuring and improving your customer experience will create more successful customers who become evangelists with higher CLVs. Before changing existing processes universally, test out proposed solutions to make sure anything you implement is actually an improvement. Identify an area you want to address, and rather than just going full stop and completely shifting the way you operate, do a test across a subset or a cohort of your database. If you’re implementing a new strategy and you have nothing to test against, then you don’t need to test it because you don’t have data to compare the results to. But if you’re changing an existing process, you should implement a test before rolling out the change. Analyzing data, understanding what you want to test and where you want to make improvements can only get you so far. It can lead you to hypotheses for making things better, but won’t tell you definitively what the best solution for you is unless you actually test out the proposed solutions. That’s how a lot of companies have grown quickly: they test everything. They measure and test everything to figure out what’s working well, what could be made better, how they can make those things better, and how people are responding to the changes being made. Those changes can be as simple as changing the color of a hero CTA button or as complex as changing the onboarding tutorial. Creating a viral or networking effect within your product is one of the fastest ways to grow your business. Evangelizing customers and having them share their experiences with your product or service is great, but if you can build that shareability into the way people utilize your product, that gives you more control to improve things. For example, Calendly is a scheduling tool that integrates with calendars to make scheduling meetings easier. The viral aspect is enabled when a Calendly customer sends out their calendar link, the person they’re communicating with is able to experience Calendly and understand the benefits of the software and potentially become sold on the solution without Calendly ever having to reach out. The viral element of their product-led marketing is especially beneficial for Calendly because their software only works with other people. Individuals aren’t just booking time with themselves. Slack is a great example of the networking effect. It’s a communications tool, so like Calendly, it has an inherently viral quality because users aren’t going to download it just to talk to themselves. When a user starts talking to other people through Slack, the other person will also experience Slack. A department head within the company might get Slack for their team, and then other people within the company might adopt the software as they notice the team becoming more efficient. Then once a company starts using it with people outside their own company like partners or clients, it can spread to a wider audience. Both virality and the networking effect enable your existing customers and product users to give exposure to your product to potential prospects. Not all companies are built the same way as Slack and Calendly, but if you can identify viral loops within the way your product or service functions, it can provide value for you and accelerate your growth. Agency partnerships can provide some viral and networking elements to companies that don’t have virality inherent within their product. When we bring in customers through our marketing at New Breed, it demonstrates that the customer appreciated how we marketed and sold to them. We can then become part of the virality of the software we use by telling our customers about the tools we used to create the experience they enjoyed. 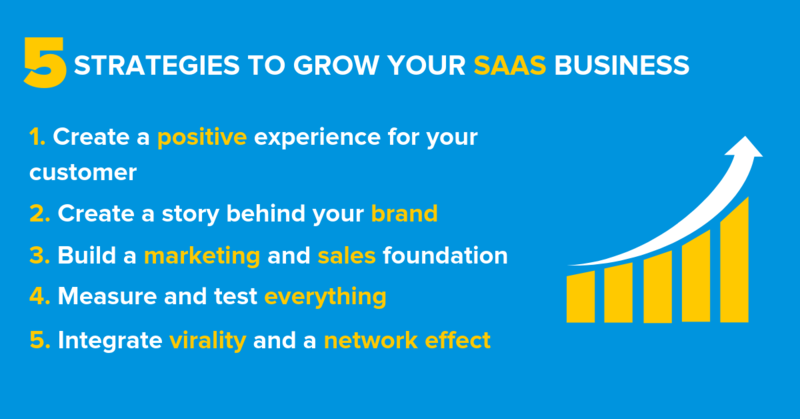 Want to learn more about how to grow your SaaS Business? 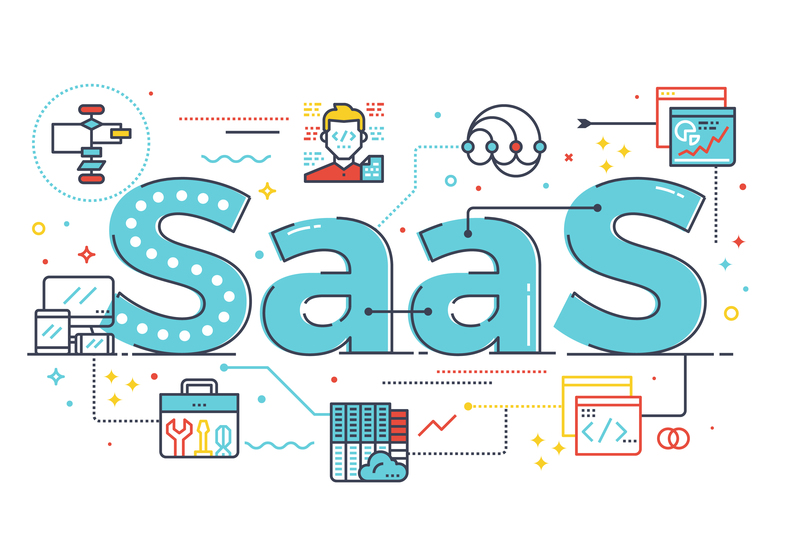 Check out The Definitive Guide to SaaS Marketing.